“I’ll hear the same song three times during a 30-minute drive!” my friends complain. This is the reason they say they no longer listen to the radio. But what if there was a way to break up the monotony? What if you could practice a foreign language every time a top 100 billboard song came on? Over years of browsing YouTube, I’ve discovered several covers of popular songs in foreign languages and I wholeheartedly recommend them as a language-learning tool. If you’d like to love radio again and you’re a Chinese-language learner, this post is for you. 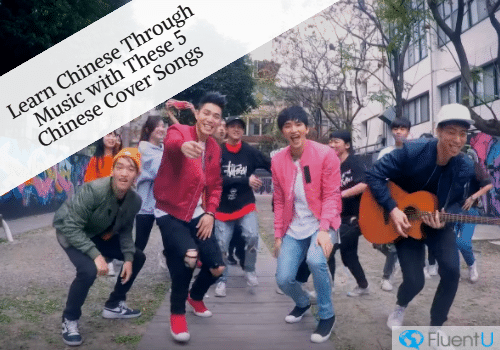 Here are five Chinese covers of popular English songs to help you learn Chinese with music. Why Are Cover Songs a Valuable Language Learning Tool? Many Chinese YouTubers have taken the melody of popular English songs and created Chinese lyrics to accompany them. Sometimes these lyrics aren’t an exact translation of the English lyrics, but most of the time they convey the same general sentiment. No matter which version you choose, there are still lots of benefits of committing these tunes to memory. For one thing, top-of–the-charts pop songs are fairly catchy. You’re likely to already be familiar with the tune of the song as well as some basic words. Studies have shown that pairing new information with the familiar helps with information retention. Therefore, learning Chinese words to a memorable tune can help you remember new words or phrases. Also, since there are usually various Chinese versions of the same English song, you can choose which version you like the best. Learning the lyrics is a great way to increase your vocabulary, get familiar with Chinese sentence structure and reinforce previous knowledge. It’s also important to note that these songs are typically comprised of simple, everyday language. This means that the words you learn from song lyrics are words you’re likely to encounter again in Chinese conversation. 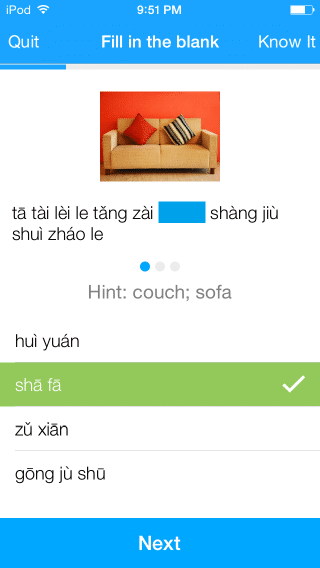 This makes it easier to practice speaking (or in this case, singing) Chinese on a daily basis. Pop songs also make for an excellent form of at-home language immersion. Since these songs come on the radio in English-speaking countries, you can sing along and review the Chinese words you learned from the Chinese cover every time they do. You can even bust out your new language skills during karaoke night! Listen with the lyrics in front of you. When learning the lyrics to any song, it’s helpful to listen to the song a few times with the lyrics in front of you. 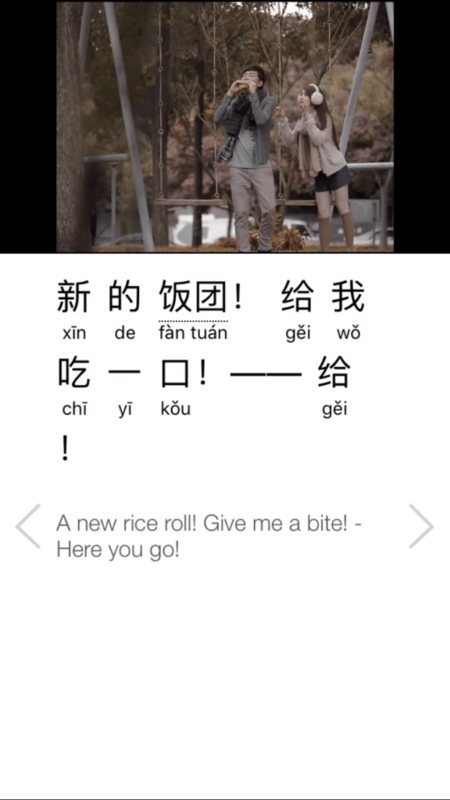 For Chinese songs, try to find a version that has both the characters and pinyin available. You can also paste the Chinese lyrics into Google translator and it’ll automatically give you the pinyin, as well as the translation. Take note of unknown words/phrases. This may seem like common sense, but it’s good practice to take note of words you’re not familiar with in order to focus on committing those to memory. Sing along. The next time you hear the song on the radio you’ll be reminded of how to use those words in a different context. And each time you sing along to the song you’re reinforcing your comprehension of those words and phrases. Create funny and memorable sentences with new words. When learning a language, you often have to memorize a lot of vocabulary at the same time. That’s difficult with Mandarin Chinese because you need to remember the pronunciation, the character and the meaning of the word separately (although learning radicals can be very helpful in bridging connections between these seemingly disconnected elements). An easy way to commit new characters to memory is to practice using them in a sentence yourself. Take your list of unknown words or phrases and craft funny sentences with them. As I previously stated, you’ll sometimes find multiple versions of a song available on YouTube. Many times the title of these songs are not translated, but you’ll see 中文版 (zhōng wén bǎn), which literally means Chinese version. Just like The Chainsmokers’ song “Closer,” the Chinese version by 嚴之 yán zhī (aka Andrewpop) tells the story of a couple who lost contact several years ago but ran into each other again and fell back into intimacy. As you see below, the Chinese lyrics in this version uses words and phrases associated with losing touch with someone, feeling a sense of familiarity, reminiscing about old times, feeling your heart rate increase and other similar topics. Apart from “oh, baby,” you’ll also find a sprinkling of other English words and phrases like “can’t stop,” “we ain’t never getting older,” “insane” and more—so be on the lookout! If you’re not “crazy in love” with this song by the end, you’re just plain crazy. And just like the original version of this song, good luck getting it out of your head! So this song in Chinese literally conveys the simultaneous sentiment of saying goodbye to a close friend while also awaiting the next encounter with them. Singaporean singer-songwriter and producer Jeric does both the vocals and rap for this song and definitely pulls them off. YouTube talent Jason Chen has created a fairly faithful reproduction of the meaning and sound of “Sorry” in Chinese. Make sure you watch the video in its entirety to hear Jason sing the song in English after the Chinese cover. Yeah is it too late now to apologize? Oh I know that I did something to be sorry for, please forgive me, can you do that? There are several Chinese versions of “Despacito” floating around the internet, but this is by far my favorite. Much like the original, Sophie Chen’s version is about getting close to someone during a dance. In another refrain, she includes some of the original Spanish and added a few lines of French as well. This is a fantastic multi-lingual version of a global hit. With these songs, you’ll be able to experience familiar songs in a new way while you learn Chinese with music. So the next time you’re at a karaoke bar, feel free to bust out those Chinese lyrics! Jandy Gu is an anthropologist, ethnographer, writer, editor, teacher, curriculum designer and aspiring polyglot. She is a native English speaker, Mandarin Chinese heritage speaker and Brazilian Portuguese language learner. Her passions include traveling, eating, social justice issues and cuddling with dogs—not necessarily in that order. 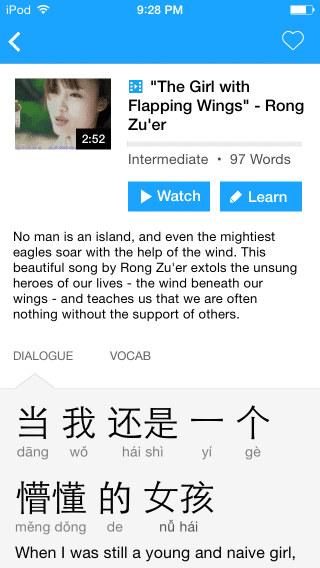 If you love learning Chinese with music, FluentU can help you with just that.